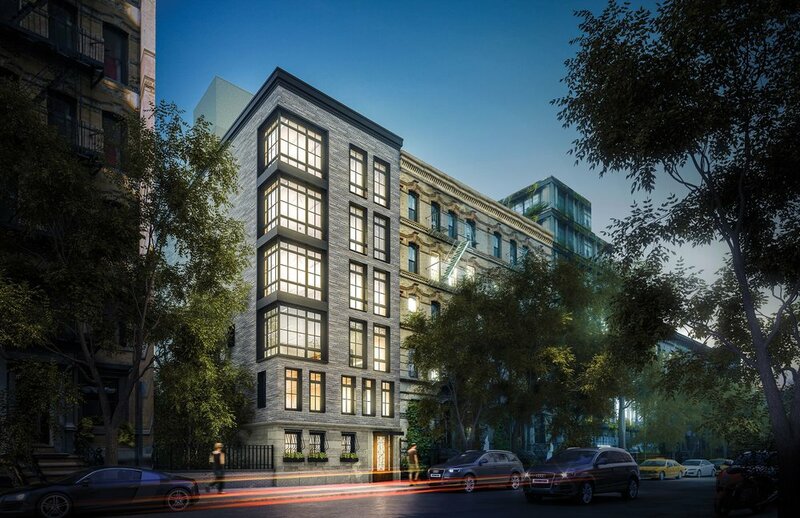 Jordan Shea of The Eklund|Gomes Team at Douglas Elliman has been tapped to lead the exclusive sales and marketing for the boutique condominium, 253 East 7th Street. After being selected by developer DRK thecollection of seven luxury residences is designed by the renowned Isaac and Stern Architects, and supremely located in the East Village. Featuring over nine foot ceilings and oak flooring throughout, the residences range comfortably from 710 to 1,725 square feet and include a mix of one-bedroom homes, a two bed-room (convertible three-bedroom) full floor apartment, an expansive penthouse and a unique townhouse unit with a private backyard.. The building’s sleek façade of brick, glass and steel is a modern, but contextual fit to the East Village, a neighborhood that resonates with New York’s historic past and promising future. As part of The Eklund|Gomes Team, Shea has a deep expertise in new development marketing and sales, and has most recently managed the successful sales campaign at 50 Clinton, where just two units remain. He has also played a role in the sales of 250 Bowery, 36 Bleecker, 11 North Moore, 290 West Street, 215 Sullivan, 1 Great Jones Alley, 75 Kenmare, One West End Avenue, Madison Square Park Tower, 5 Beekman, One Seaport, 25 Mercer, Steiner East Village and Polhemus. Amenities at 253 East 7th Street include a custom smart-home virtual doorman system, bicycle storage, and communal resident roof deck, which offers sweeping southern views of the Downtown Manhattan skyline. With a very compelling blended price per square foot for the East Village, prices at 253 East 7th Street range from $1.25M to $3.3M. Occupancy is expected for April 2019. For more information contact Jordan Shea at 917-597-9486.